This is, by far, an outstanding Buddhist publication. All the important protective charnts are included in this work. The text has been carefully edited. Some less-known protective chants too have been given a place in this work. In his erudite foreword, Ven.Sarada Thero discourses on the significance of Paritta chanting. Rev. Sek Chuan Jie, writes an extensive introdution on the evolution of chanting in man’s history of spiritual awakening. The Pali text appears in Roman Characters in a very readable type-face. An authoritative English translation is provided. The book is decidedly a very valuable acquisition for anyone. This is exclusively for children. The book contains six stories, both in English and Chinese. Opposite each text-page, a black and white picture appears. The children are asked to read the story and to colour the pictures. The author’s preface indicates how the book has to be used. Teachers are given directions about how the maximum possible use of this book, could be obtained. 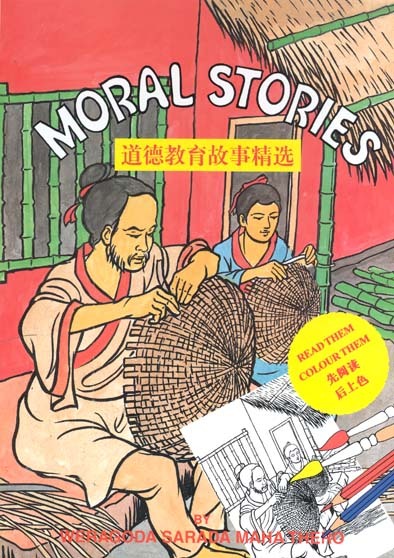 The stories could be used as material to teach children moral values. The book is an aid, also to enable the children’s vocabulary expansion. Of the suttas (discourses) of the Supremely Enlightened One, Maha Mangala Sutta, is perhaps the foremost in terms of popularity among the masses. Settling a controversy that agitated the worlds of both men and gods, about what constituted the auspicious, Supremely Enlightened One set down thirty-eight great blessings in this discourse. The present book published in a large format, presents a fully illustrated version of this discourse. 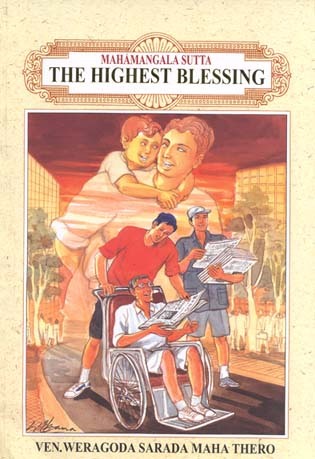 Over and above the 38 blessings, the preliminary events to the discourse are also illustrated. 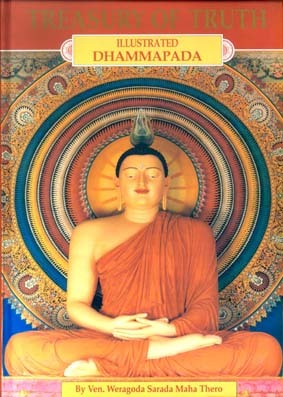 An illustrated version of the Sinhala poetic work Lovada Sangarava (book of worldly welfare) is printed here, as the second segment of the book. 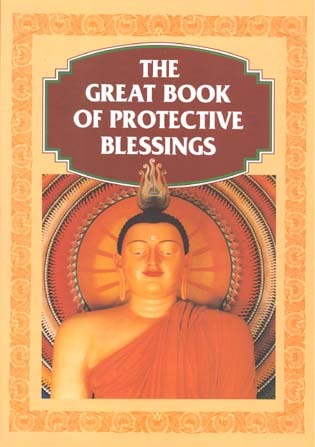 The Pali text and English translation of Maha Mangala Sutta, Pali prose order and the translation of expression and the list of 38 blessings are appended to the end of the book. 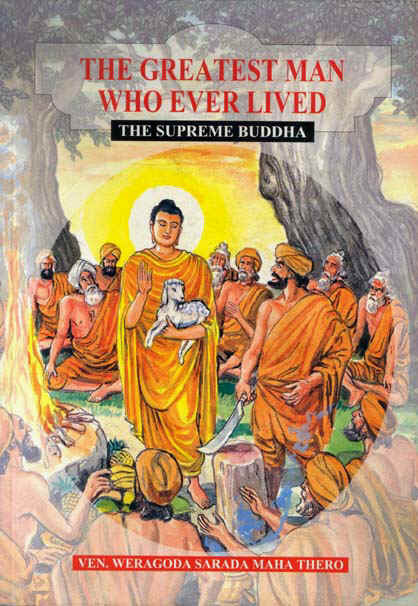 This is the first volume of a series of stories, culled mostly from the Jataka stories (birth tales of the Buddha). Although the tales are for both the young and old, the presentation is emphatically oriented towards the young. The style of the illustrations has a special appeal to young ones. The way the stories are narrated is conducive to delightful absorption. A special effort has been made to underline the morals implicit in each story. 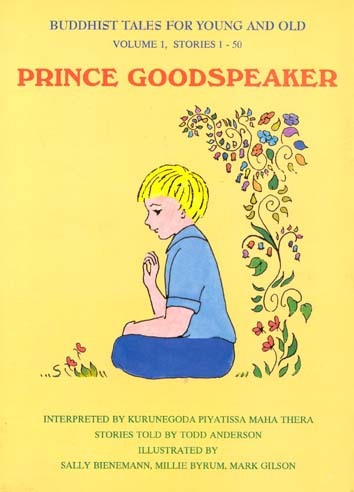 At the end of the book, the moral in each story is listed, indicating the number of the story and the page where each moral lesson is found. This is a rare philosophical work that makes a profound enquiry into some of the main concepts of Buddhism. 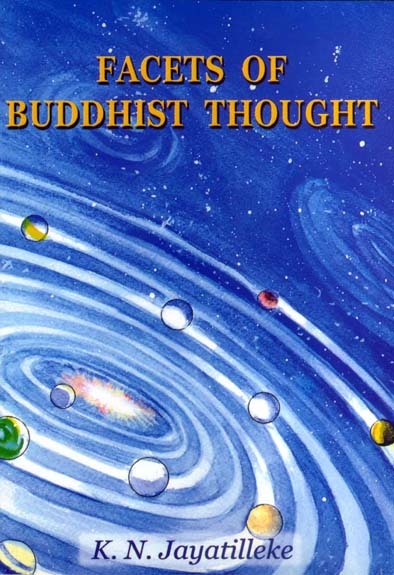 The book starts with an examination of the Buddhist conception of the universe. 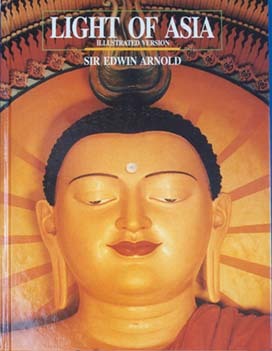 The author presents his views on such subjects as these, primarily on the evidence of the Tripitaka. The work examines the Buddhist attitude to God, The Buddhist attitude to revelation, The Buddhist concept of matter and the material world and the Buddhist analysis of mind. 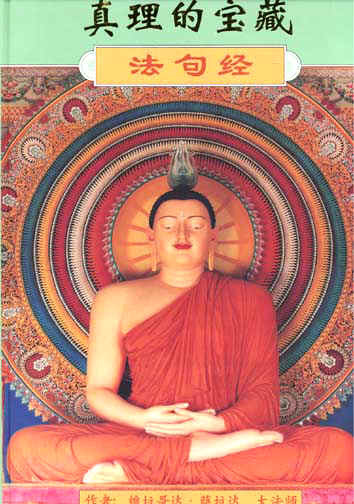 The approach of this book to the main concepts of Buddhism is scholarly. In consequence this work is extremely profitable to researchers, universities and other institutions of higher education.